Caroline Irby – Photographing for UNICEF in Djibouti… 19 year old Maria Abdullahi, who looks after her own child, Nouria, and her cousin’s child, Maysun, both 9 months old, living in a tent in a refugee camp in the desert in Djibouti, East Africa – they are refugees from Somalia. Maysun’s own mother abandoned her, and Maria took her in, breastfeeding her along with her own daughter. She does the whole thing with such grace and humour, and so few resources. Total inspiration. 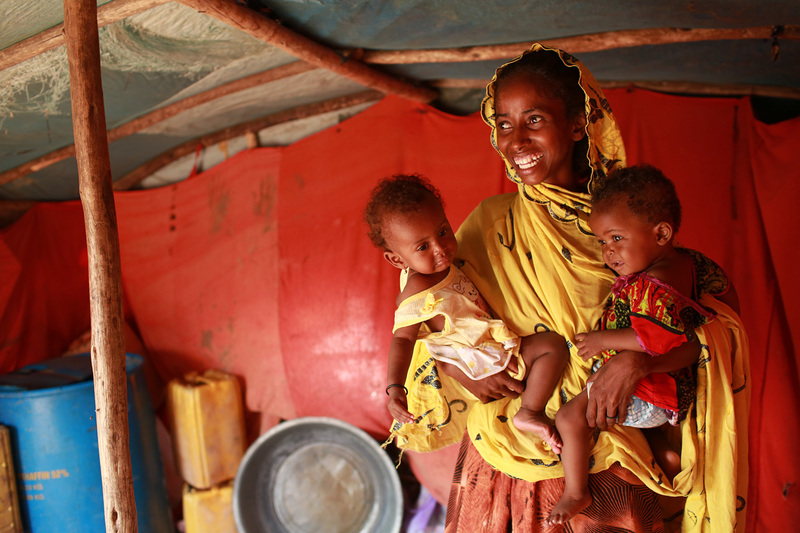 Photographing for UNICEF in Djibouti… 19 year old Maria Abdullahi, who looks after her own child, Nouria, and her cousin’s child, Maysun, both 9 months old, living in a tent in a refugee camp in the desert in Djibouti, East Africa – they are refugees from Somalia. Maysun’s own mother abandoned her, and Maria took her in, breastfeeding her along with her own daughter. She does the whole thing with such grace and humour, and so few resources. Total inspiration.